I recommend various sources to naturally increase your metabolism. 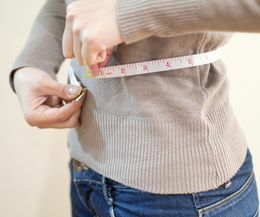 If you have a sluggish thyroid - Hypothyroid slows down slow metabolism. Avoid foods that cause slow thyroid. AVOID ALL Supplements that contain MAGNESIUM STEARATE or STERIC ACID - these ingredient additives are seriously harmful to your health. Consume plenty of water, avoid gulping. Riboflavin (Vitamin B2) preferably in bulk form. ALL The B Vitamins aid in converting food to energy, which will help increase metabolism. Recommend B Complex 100mg two times per day. Vitamin C - increases metabolism indirectly by increasing your immune system, which helps the body function more efficiently. Administer daily 3000mg - 6000mg per day, more if you are ill. Vitamin C rejuvenates healthy cell growth. Vitamin C and E - clean out toxic particles in the cells, keeping them healthy and allowing them to work properly, which can also increase metabolism. Vitamin D - indirectly increases metabolism. Vitamin D comes naturally from the sun. Lathing on sunscreen blocks Vitamin D to absorb through the skin. Necessary to take daily supplements of vitamin D to reap the metabolism rewards. Vitamin D boosts mood levels and can cause an overall feeling of well-being. Magnesium - peak-performing for metabolism. Consume abundance of dark green leafy vegetables and healthy seafood to get enough magnesium. As the body ages, it takes out less levels of magnesium from the foods we eat. Mandatory to take additional magnesium supplements as we age. L-Carnatine and NADH help convert fat into energy. Co-Enzyme Q10 - provides energy to the muscles. The more muscle you have, the more energy you will burn. ANTIOXIDANTS - Vegetables (especially dark green leafy) and Fruits - these help speed metabolism and burn fat. Consume an abundant of Fruits and especially Vegetables (not corn or potatoes. 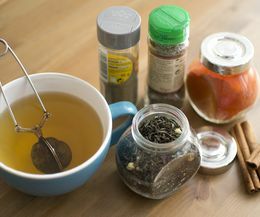 Chinese herbs - schizandra, ginseng and mate can increase energy and combat fatigue, which could help increase metabolism. Diuretics - Alfalfa, Burdock, Fennel and Parsley act as diuretics, ridding the body of excess water. Laxatives - Bladder Wrack Kelp, Guar Gum and Senna have a laxative effect, helping to cleanse the body. 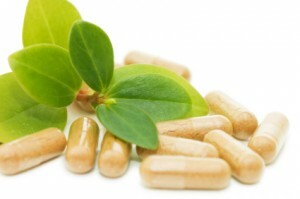 Fat Burners - Chickweed, Garacinia Cantbogia and Kola Nut act as fat burners. Cayenne, Red Pepper, Citrus Aurantium and Cinnamon increase core body temperature, which ican increase metabolism. Toxins & Free radicals - - Dandelion Root, Nettles and Phyllium help cleanse the cells by removing toxins and free radicals. Appetite Depressant - Nettles, Gymnema Sylvestre, Flax Seed, Guar Gun, Parsley, Phyllium, Garcinia Cantbogia and Kola Nut decrease appetite and cravings. Blood Sugar - GTF Chromium mineral balances blood sugar and reduces sweet carvings. Suggested 200mcg two-three times per day. Digestive aid - Cardamom, Hawthorn and Citrus Aurantium aid in general digestion.